Injury Scale Value (ISV) thresholds, in relation to motor vehicle accident compensation, were introduced in South Australia as part of the reforms which took effect on 1 July 2013. 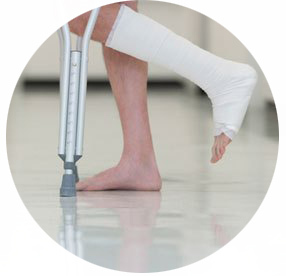 Our Adelaide Injury Lawyers can help you understand Injury Scale Value and how it applies to your case. An injury (or injuries) is designated an item number and then assigned a numerical value based on the ISV scale. If you are injured in a motor vehicle accident after 1 July 2013, your entitlement to compensation is conditional upon your ISV value. How Does The ISV Affect A Motor Vehicle Accident Compensation Claim? Compensation for past economic loss, past paid care and past medical and expenses may be awarded regardless of the ISV (subject to some conditions), however to seek compensation for other losses certain thresholds must be met. For example, ISV value must be assessed as at least 8 points for damages for loss of future earning capacity to be awarded. Therefore, if the ISV is 7 or below, the claimant will not receive any compensation for loss of future earning capacity, regardless of the injury or the level of actual loss. In order to receive compensation for non-economic loss, gratuitous services and consortium, a claimant must have an ISV value of at least 11 points. Without meeting this threshold, no compensation for these losses will be considered. If you have been injured in a motor vehicle accident, it is important that the ISV is assessed correctly and that you seek early legal advice regarding your entitlement to compensation. For more information and for assistance with your claim, please contact our office on 8410 9494 or email our personal injury Associate Lawyer Ellie Douglas at e.douglas@pacelawyers.com.